Bundaberg is known for restored heritage buildings with the subtle grandeur of modern architecture and design. 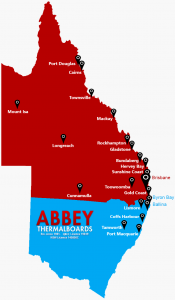 As a leading cladding supplier and fitter in Bundaberg, Abbey has noticed local home and business owners increasingly recognise the importance of revitalising or preserving their properties with quality aluminium or exterior vinyl cladding. Bundaberg’s warm and temperate climate averages around 25°C in summer and 16°C in winter. The region experiences a large amount of rainfall throughout the year – even in its driest month of September. 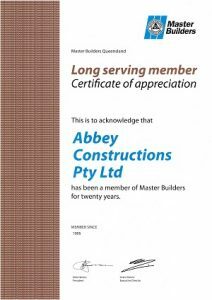 Abbey has full confidence that our cladding can protect your Bundaberg property from the elements and we stand behind each cladding job with a full 50 year warranty. 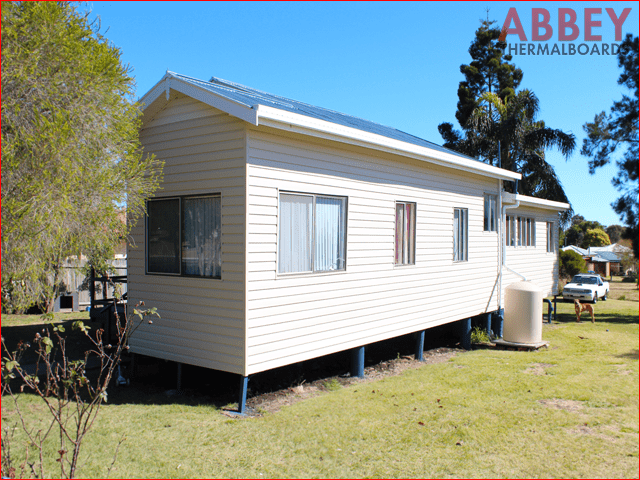 Abbey’s stylish aluminium and vinyl cladding options will make your Bundaberg home shine, embodying the unique character of the locals. Constructed to withstand harsh weather conditions, Abbey cladding is the high performance exterior for your property. Our high quality aluminium and vinyl cladding solutions provide outstanding strength and weather-resistance while retaining a pristine appearance for years to come. Both types of exterior house cladding are very popular with Bundaberg home and business owners and provide many fantastic benefits. Get in touch with us to discuss the best type of cladding for your residence or business and enjoy the benefits of Abbey cladding.